Use cd to change directories. Type cd followed by the name of a directory to access that directory.Keep in mind that you are always in a directory and can navigate to directories hierarchically above or below. Type mv followed by the current name of a directory and the new name of the directory. Removes directories and files within the directories recursively. u - User who owns the file. g - Group that owns the file. r - Read the file. w - Write or edit the file. x - Execute or run the file as a program. Copy the files "myfile" to the file "yourfile" in the current working directory. This command will create the file "yourfile" if it doesn't exist. It will normally overwrite it without warning if it exists. With the "-i" option, if the file "yourfile" exists, you will be prompted before it is overwritten. Copy the file "/data/myfile" to the current working directory and name it "myfile". Prompt before overwriting the file. ln - Creates a symbolic link to a file. Creates a symbolic link named symlink that points to the file test Typing "ls -i test symlink" will show the two files are different with different inodes. Typing "ls -l test symlink" will show that symlink points to the file test. locate - A fast database driven file locator. This command builds the slocate database. It will take several minutes to complete this command.This command must be used before searching for files, however cron runs this command periodically on most systems.locate whereis Lists all files whose names contain the string "whereis". directory. cat - Sends file contents to standard output. This is a way to list the contents of short files to the screen. It works well with piping. bg jobs - Places the current job (or, by using the alternative form, the specified jobs) in the background, suspending its execution so that a new user prompt appears immediately. Use the jobs command to discover the identities of background jobs. cal month year - Prints a calendar for the specified month of the specified year. cat files - Prints the contents of the specified files. clear - Clears the terminal screen. cmp file1 file2 - Compares two files, reporting all discrepancies. Similar to the diff command, though the output format differs. diff file1 file2 - Compares two files, reporting all discrepancies. Similar to the cmp command, though the output format differs. dmesg - Prints the messages resulting from the most recent system boot. fg jobs - Brings the current job (or the specified jobs) to the foreground. file files - Determines and prints a description of the type of each specified file. Searches the specified path for files with names matching the specified pattern (usually enclosed in single quotes) and prints their names. The find command has many other arguments and functions; see the online documentation. finger users - Prints descriptions of the specified users. free - Displays the amount of used and free system memory. Opens an FTP connection to the specified host, allowing files to be transferred. The FTP program provides subcommands for accomplishing file transfers; see the online documentation. head files - Prints the first several lines of each specified file. ispell files - Checks the spelling of the contents of the specified files. Kills the specified processes, sends the specified processes the specified signal (given as a number or name), or prints a list of available signals. Kills all processes that are instances of the specified program or sends the specified signal to all processes that are instances of the specified program. mail - Launches a simple mail client that permits sending and receiving email messages. man section title - Prints the specified man page. ping host - Sends an echo request via TCP/IP to the specified host. A response confirms that the host is operational. reboot - Reboots the system (requires root privileges). Shuts down the system after the specified number of minutes elapses (requires root privileges). The -r option causes the system to be rebooted once it has shut down. sleep time - Causes the command interpreter to pause for the specified number of seconds. sort files - Sorts the specified files. 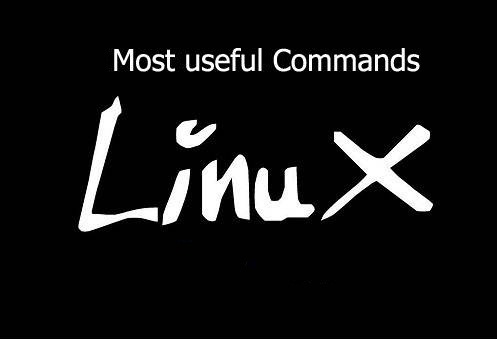 The command has many useful arguments; see the online documentation. sync - Completes all pending input/output operations (requires root privileges). telnet host - Opens a login session on the specified host. top - Prints a display of system processes that's continually updated until the user presses the q key. traceroute host - Uses echo requests to determine and print a network path to the host. uptime - Prints the system uptime. w - Prints the current system users. wall - Prints a message to each user except those who've disabled message reception. Type Ctrl-D to end the message.